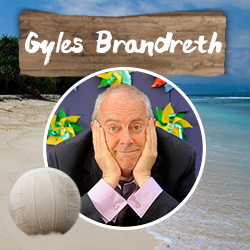 Who Would Gyles Brandreth Drown in a Rock Pool? You are browsing: Home News Who Would Gyles Brandreth Drown in a Rock Pool? There are so many characters in literature that set our hearts aflutter. But what about the ones that really rile us, that make our skin crawl or have us wanting to throw the book at the wall out of frustration or exasperation? This year, rather than tell us which fictional character they'd like to accompany them to the beach, we asked some of our favourite authors about the ones they'd happily cast out to sea, leave on the beach or drown in a rock pool… you get the idea! Who would you like to leave behind? Which fictional character would I cast out to sea, leave on the beach or drown in a rock pool? That’s the question. And I have the answer. And it takes me back to the first grown-up novel that I remember reading. I can’t remember what age I was - in my early teens I suppose. I know that I had graduated from Enid Blyton (I loved The Faraway Tree) and the Adventures of Billy Bunter of Greyfriars School by Frank Richards; I had moved through the Adventures of Sherlock Holmes (though I don’t think you ever grow out of them); and I had discovered Jane Austen! 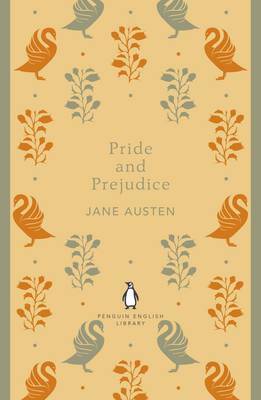 I read Pride and Prejudice and I could not put it down. I loved everything about it – the world of the Bennett family, the humour of it, the romance - but most especially, of course, I loved Mr Darcy. He was devilishly handsome, absurdly arrogant and my idea (everybody’s idea!) of an English romantic hero. In fact, I realise I must have been fourteen at the time and the reason I loved the novel so much was that I convinced myself that I was Mr Darcy! And then, at school, we put on a stage version of Pride and Prejudice and I went to the auditions with high hopes and great expectations and – yes, you’ve guessed it - I was cast, not as Mr Darcy, but as the ridiculous, pompous, po-faced, vain and vain-glorious clergyman, Mr Collins. I couldn’t believe it. Half a century on, I still can’t believe it. But from that moment, I turned on Mr Darcy. I had loved him. Now I loathed him. And I’ve loathed him ever since. I don’t want to see Colin Firth (or anyone else) playing the part. I don’t want to see or hear or know or read anything more ever about Mr Darcy. He may be your darling, dear reader. He’s not mine. Goodbye, Darcy. I don’t want you in my world. I can’t stand the competition. Writer, broadcaster and former MP Gyles Brandreth's many books include The Oscar Wilde Murder Mysteries. His latest novel is Jack the Ripper: Case Closed.